An aerial view of Gray Gables and Buzzards Bay, with the Bourne Bridge visible in the background. President Grover S. Cleveland’s former summer residence is circled. During the Kennedy Administration, a bill created by Act of Congress established the Cape Cod National Seashore. President Kennedy hoped preserving this tract of shoreline would ensure the continued enjoyment of this land by people from Cape Cod, Massachusetts , New England, and the United States. President Kennedy ‘s Hyannisport residence, however, was not the only Summer White House on the shores of Cape Cod, nor is JFK the only U.S. president remembered by Cape Codders as having ties to our area. As we choose our president for the next four years this November, we thought it would be an appropriate time to recall the history of U.S. presidents on Cape Cod. 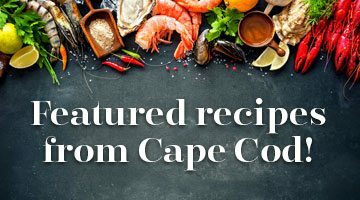 We have collected excerpts from Cape Cod Legends and editions of Cape Cod Magazine from the 1920st hat include stories about the other Summer White House on Cape Cod and its owner Grover Cleveland and a first-hand account of a Cape Codder’s sojourn to the White House to meet President Coolidge.